The Wolf tracking sheet is now working. The Bear tracking sheet says that the link is damaged and can't be repaired. thanks so much for your work on these sheets. I plan on sharing them at roundtable! I was able to download the Bear sheet - it looks fantastic except that it includes the cyber chip requirements for grades 4-5 instead of 1-3. Thank you so much for your work on these! The Bear sheet says they cyberchip for grades 4-5. Bear rank is 3rd grade, so shouldn't the cyberchip be grades 1-3? The Bear book says "You should use this book if: You are a boy who has completed the second grad or you are 9 years old." So, in a traditional (non LDS pack) the boys working on their bear would be 3rd graders but... If it is a LDS pack then he would be 9 and could be in 3rd grade or 4th grade depending on where his birthday falls in the year and where the school cutoff date is and if he was held back or skipped a grade or... See It's a little complicated. If a boy starts Kindergarten when he is 5 he would be 1st grade when 6, 2nd when 7, 3rd when 8, and 4th grade when 9. So... it might be wrong... but it might be correct. Also, these current requirements are/were from when the Cyber Chip award was an optional/extra award and now that it will be required each year the requirements are under review and may go through some changes when the new program rolls out in June - another reason we didn't list the specific requirements for it. Hello. 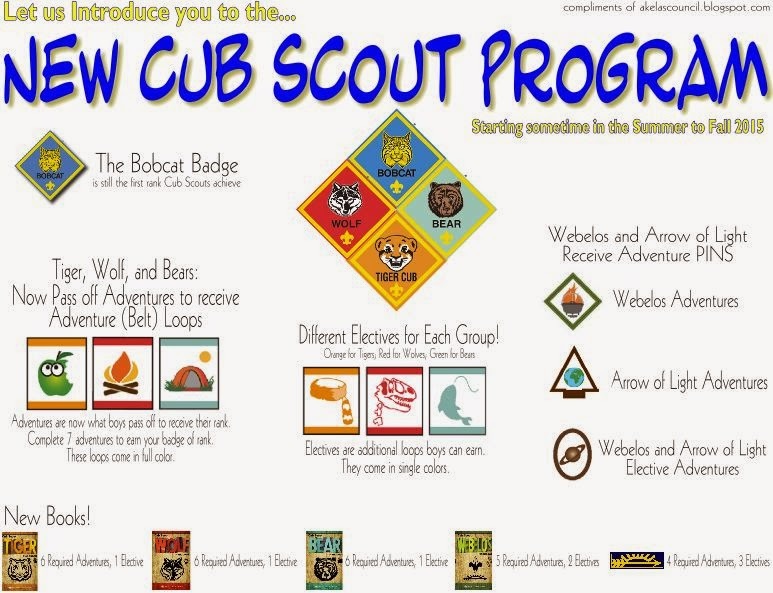 I am a cub scout leader in Illinois and I found your tracking sheets for the new program and love them. Thank you for sharing them. I have noticed something that needs to be changed and I was wondering if you could please either post a version that can be edited or if you could please fix the "Bear Necessities" requirements. 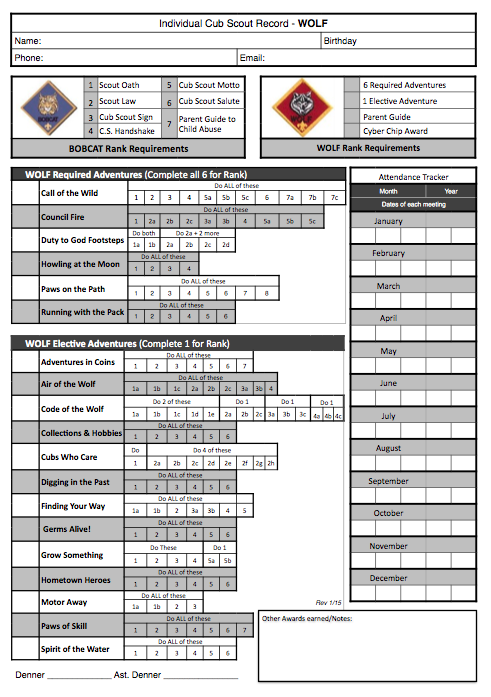 On your tracking sheet, it says requirement 5 is to practice your role for the program and that is actually part of requirement 2 for Bear Necessities. 7, 8, and 9 are correct on your tracking sheet, so it is just 5 and 6 that need to be fixed. I know it seems like a small thing, but it would make for more accurate tracking. Thank you so much. I am wondering if these sheets will be updated with the new "REVISED" requirements as of December 2016. I have really enjoyed using them but now they are outdated....THANKS for creating the original ones. I'd love an updated Bear Tracking Sheet for the 2017 revised program too!